This second edition of Steven Roger Fischer’s fascinating book charts the history of communication from a time before human language was conceived of to the media explosion of the present day. Fischer begins by describing the modes of communication used by whales, birds, insects, and nonhuman primates, suggesting these are the first contexts in which the concept of “language” might be applied. He then moves from the early abilities of Homo erectus to the spread of languages worldwide, analyzing the effect of the development of writing along the way. With the advent of the science of linguistics in the nineteenth century, the nature of human languages first came to be studied and understood. 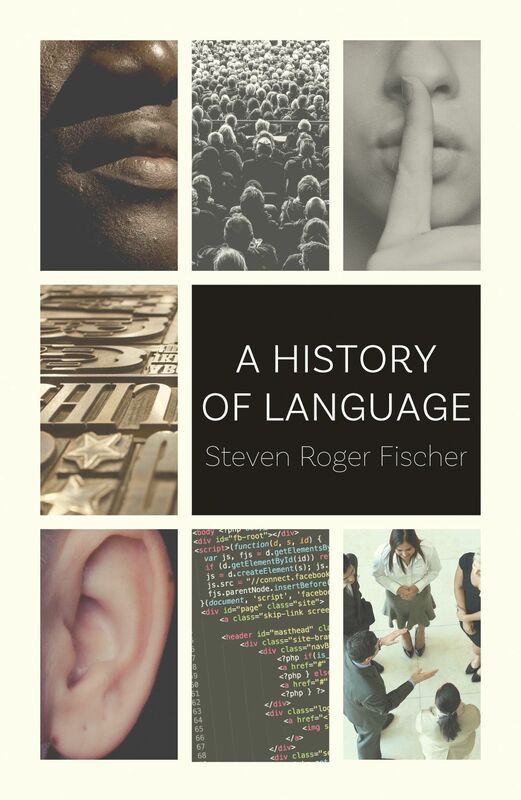 Fischer follows the evolution of linguists’ insights and the relationship of language to social change into the mid-1900s. Taking into account the rise of pidgin, Creole, jargon, and slang, he goes on to raise provocative questions about literature’s—and literacy’s—relationship to language. Finally, touching on the effects of radio, television, propaganda, and advertising, Fischer looks to the future, asking how electronic media are daily reshaping the world’s languages and suggesting a radical reinterpretation of what language really is.